Savour a luxurious vacatin at our gourmet hotel Salzburger Hof, accompanied by a charming winter landscape – we pamper our guests with every trick in the book: with our gourmet half board, in the SKY-Wellness and SPA area as well as in our hotel lounges. Here relaxation for adults combines perfectly with fun and entertainment for kids. We are more than pleased to give you our time and attention, so you can enjoy your stay in a warm and friendly atmosphere. 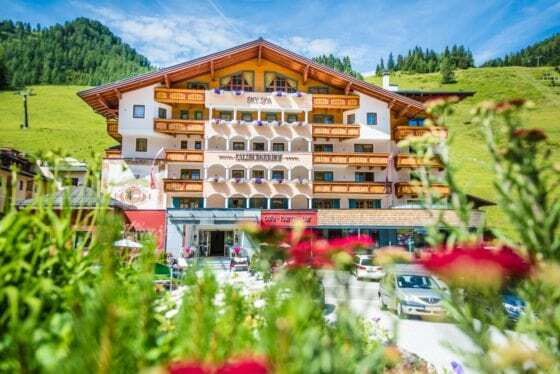 Here at the Salzburger Hof you stay right next to the slopes of the Zauchensee ski area in the Ski Amadé, which means pure skiing pleasure on the doorstep. 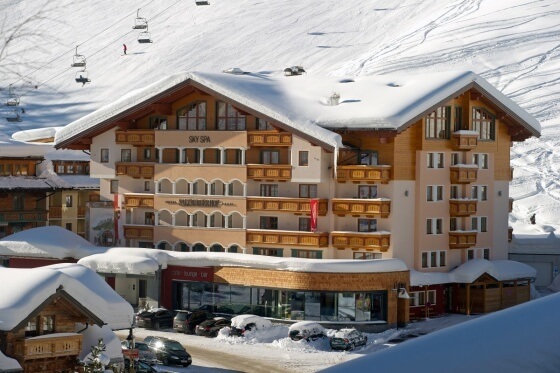 Ski school and ski rental are situated just next door. Take advantage of our great location during your winter holiday. Your vacation here at the family-gourmet hotel Salzburger Hof is sure to be an unforgettable experience. You can expect modern facilities, comfortable rooms and the highest quality cuisine plus a well-stocked wine cellar – everything you need for a holiday with style and charm. Enjoy your personal time-out in our SKY-Wellness and SPA area as well as in our indoor pool at our 4 star superior hotel in Salzburger Land. Kids and teens feel right at home in our kids’ paradise and chill-out-lounge. You can explore the surrounding countryside from the front door of our hotel, as we are situated in the heart of the mountain area of Altenmarkt-Zauchensee. Experience the alpine landscape whilst hiking, on a convertible tour or during one of the many other summer activities on offer.